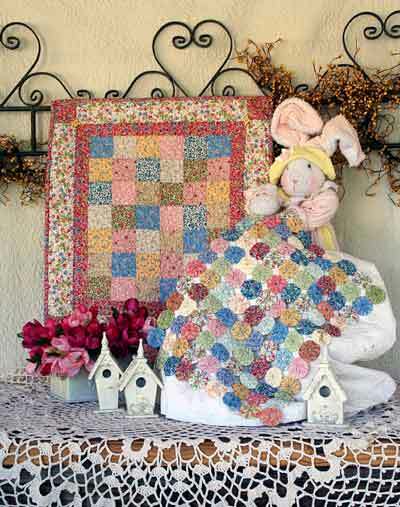 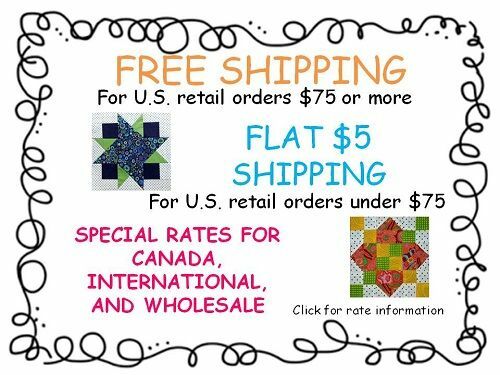 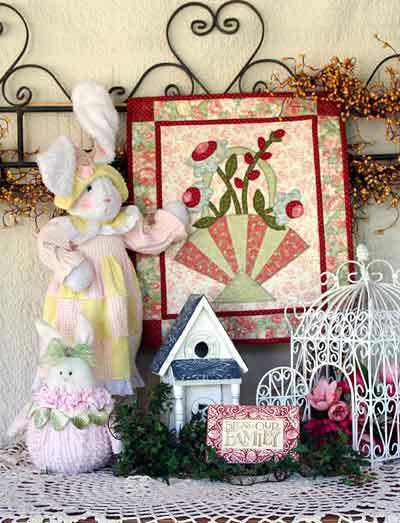 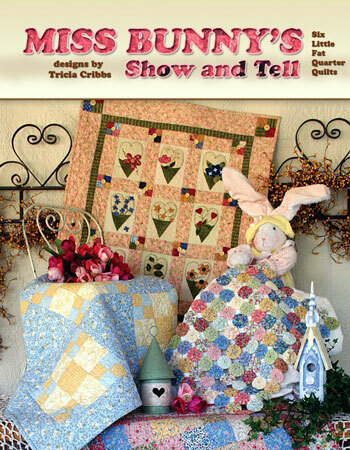 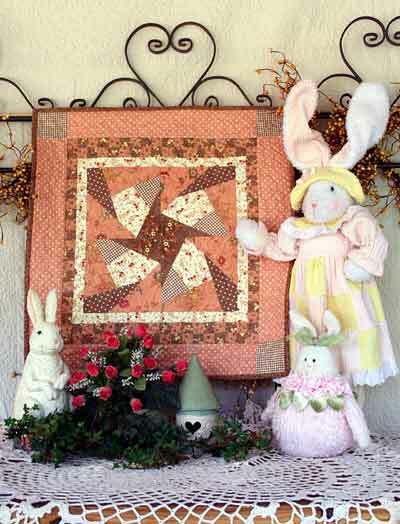 Miss Bunny’s Show & Tell contains 6 very simple patterns for fat quarter small quilts (wall hanging and table topper size). 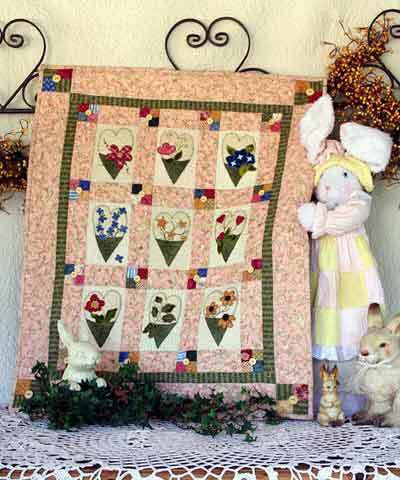 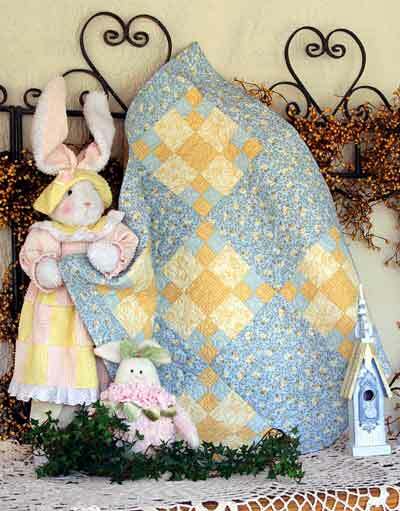 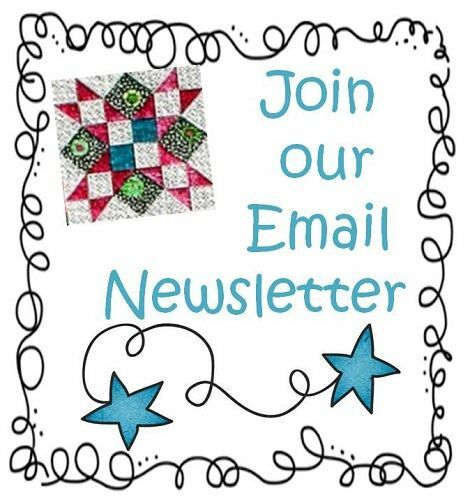 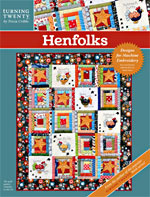 Each pattern is easy to make and designed to use up those fat quarters! 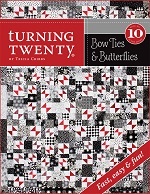 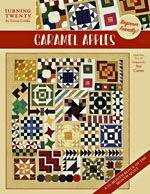 Great beginner book, introducing you to several simple quilt making techniques.